The VAEEC has been focused on advancing Commercial Property Assessed Clean Energy, or C-PACE, financing across the Commonwealth for the past few years. Since Virginia’s C-PACE law requires interested localities to develop and implement their own C-PACE program, start up can be on the slow side. However, we’ve seen a lot more traction lately thanks in part to the launch of Virginia’s first C-PACE program (in Arlington County) and the recent release of C-PACE resources for local governments. 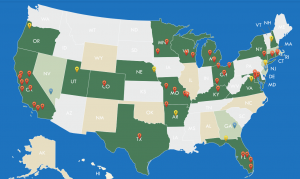 Over 30 states and Washington, D.C. have approved C-PACE programs. Virginia joined this growing list in 2009 when it first passed C-PACE enabling legislation, which was later amended in 2015. Our C-PACE law includes all new and existing commercial, industrial, multifamily residential (over four units), and nonprofit buildings. Arlington County’s C-PACE program officially launched in January of this year with the goal of improving new and existing buildings and helping the County’s Community Energy Plan implementation. Sustainable Real Estate Solutions, or SRS, was selected as their independent, third party program administrator to provide marketing, outreach, education, and quality assurance services. During a January 2018 Board meeting, the Loudoun County Board of Supervisors unanimously voted to direct staff to develop a C-PACE program structure, evaluate options for Program Administration, and draft an ordinance. These items will be brought back to the Board at a future meeting for consideration. Similarly, Fairfax County is exploring the development of a C-PACE program. County staff are developing information for the Environmental Committee with the goal of presenting their findings to the Committee at their next meeting on June 12th. 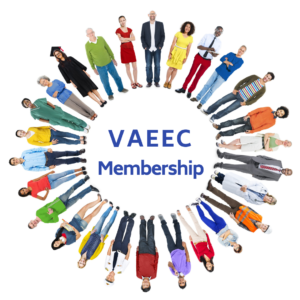 In addition to providing educational information to Loudoun and Fairfax, the VAEEC is working with several other jurisdictions to answer questions and help with program development. Just last week, we worked with the City of Virginia Beach to organize a C-PACE informational session for all municipal staff in the Hampton Roads region. Representatives from the Cities of Norfolk, Portsmouth, and Virginia Beach were in attendance. We are also working with local Virginia chapters of the Sierra Club to host a C-PACE event on May 30th in the City of Alexandria. This event will be open to all C-PACE stakeholders in the area, including property owners, contractors, lenders, and municipal staff. We also continue to work with the City of Charlottesville and Albemarle County to answer staff questions and provide guidance on the resources currently available to localities. In early 2018, the VAEEC released a Virginia model ordinance for localities to use when crafting their own program. The ordinance was commissioned following a review and input from a wide variety of C-PACE experts in the lending, local government, engineering, legal, and policy fields. This document incorporated key factors that we consider to be crucial to implementing an effective C-PACE program. As part of its mission to accelerate the development and utilization of C-PACE in the Mid-Atlantic region, MAPA is currently creating program implementation guidance. These regional guidelines will be a part of a toolkit created to help localities craft their own C-PACE program and is slated to be released by June. In conjunction with MAPA, the VAEEC will be hosting a C-PACE webinar in September that will walk attendees through both this toolkit and the Virginia model ordinance. Virginia localities may review the program infrastructure implemented in Arlington County, including the County ordinance and other program documents. There is also the option to “ride” the C-PACE Program Administration contract with SRS, which would eliminate the need for a Request for Proposals (RFP) process and shortens the time to program launch. Localities may also contract directly with SRS if cooperative procurement is not preferred. Explore the Arlington C-PACE website for more information. 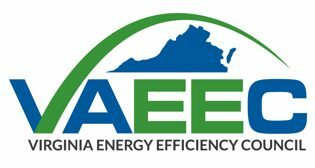 The VAEEC prides itself on being a neutral, trusted resource for any Virginia localities interested in C-PACE. We are actively meeting with local governments across Virginia to discuss all available options and help each locality determine which option best suits their needs. If you would like to know more about C-PACE, contact Jessica Greene at jessica@vaeec.org.